Athletics New Brunswick will be hosting 2 Run Jump Throw NCCP Certification Workshop. The first of these workshop will be hosted in Saint John on Sunday June 2nd from 9AM to 5PM . While Moncton will host a course on Saturday June 8th also from 9AM to 5PM. This course is great introduction to coaches, volunteers, athletes and teachers on how to introduce the sport of Athletics in a fun and safe environment. Athletics Canada and the Local Organizing Committee (LOC) for the 2013 Canadian Track and Field Championships cordially invite you to attend this special event on Thursday May 2 where the class of 2013 will be unveiled for Athletics Canada's Hall of Fame. Join Sporti, members of the LOC, representatives from Athletics Canada and partners of the 2013 Canadian Track and Field Championships in this special announcement as we share the latest local news about this national sporting event. The 2013 Canadian Track and Field Championships, held in Moncton June 20-23, will also play host to Athletics Canada's Hall of Fame inauguration on June 20. Visit www.moncton2013.ca for the latest information. Stanford, California- 4 New Brunswick athletes competed this past Sunday at the Payton Jordan Cardinal Invitational, one of the premier track and field meet for long-distance runners in North America. Athletics New Brunswick members showed that they can compete among the best runners in America. -Grace Annear of Hampton (running for the University of Victoria) finished 2nd in her 800m heat in a time of 2:09.84 , one of the fastest time ever run by a New Brunswick athlete . This is also a personal best time by over 2 seconds. -Adam Gaudes of Fredericton (running for the University of Victoria) finished 6th in his 800m heat in a time of 1:52.65 . However the performance of the meet for New Brunsiwck athlete had to be Ryan Cassidy of Grand Digue (running for the University of Victoria) who ran a personal best time in the 3000m steeplechase of 8:49.45 by over 6 seconds . ‘’ These are great early results for our athletes, it great to see our runners among the top in North America`` said Gabriel LeBlanc technical director of Athletics New Brunswick. ‘’ These are very promosing for our athletes. Ryan, Grace and Adam are eligible for our Canada Games team that will travel to Sherbrooke in August. While Barry will try to qualify for our Jeux de la Francophonie team that will compete in Nice, France in September. ‘’added LeBlanc . The Royal Canadian Legion Track and Field program is a nationally sanctioned program culminating in a national track & field camp and national championship for Canadian youth between the ages of 14 and 17 in the current year. In 2013 this event will be held in Langley, British-Columbia during the week of August 7th through 13th. Athletes wishing to be part of Team NB must compete at Legion Provincial Championships. Three New Brunswick athletes traveled to Montreal this weekend to take part in the 2013 Canadian Half Marathon Championships and did not disappoint. In the overall championships Réjean Chiasson of Tilley road finished 2nd in a time of 1:08:03, 2 minutes behind race winner Eric Gillis of Antigonish, NS who crossed the finish line in 1:05.56. Amor Dehbl of Montreal took bronze in 1:09:19. Lee Roy of Beresford finished 10th in 1:11:49.8. Brandon LeBlanc of Riverview won the Canadian Junior title (Under 20) in a time of 1:24:22.3 to beat out the next closest competitor by over 5 minutes and place 103rd overall. In the women’s race Krista Suchene finished first to earn the Canadian title in 1:12:27 with Dayna Pidhorsesky of Tecumseh, Ont, talking silver in 1:16:38 and Lisa Avery of Orilla, Ont took Bronze with 1:17:07. 4 New Brunswick Athletes traveled to Michigan this weekend to compete at the 2013 Hillsdale College Gina Relays. -Nadine Frost was 5th in the women’s 1500m in a time of 4:28.44 while Lydia Frost was 20th in the same event in 4:36.87. -However the performance of the day for New Brunswick athletes had to be Genevève Lalonde who won the 3000m steeplechase in a time of 10:21.17. 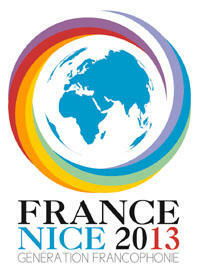 This time is below the standard for the 2013 Jeux de la Francophonie that will take place in Nice, France in September. As the New Brunswick outdoor track season is just around the corner. 30 athletes from ANB's High Performance Team members are now in Clermont, Florida for a warm weather camp at the National Training Center, one of the best known facilities in the world for track and field athletes.Camp runs from April 25th to May 4th Athletes will be accompanied by 4 of New Brunswick's top coaches in Jennifer Butler, Jason Reindl , Earl Church and Steve LeBlanc. Apr 24 2013 - New Brunswick top athletes will be in California this weekend! As New Brunswick's top university athletes end exams and begin their outdoor seasons comes the Payton Jordan Invitational. Four of New Brunswicks top athletes will head down to Stanford, California for this world class meet, featuring countless high performance athletes from all over North America! - Grace Annear of Hampton (racing for University of Victoria) will race the 800m aiming for Patty Blanchard's NB Outdoor 800m record of 2:07.02. Grace comes off of a successful indoor season where she broke both the 600m and 800m indoor the indoor provincial records, as well as being a member of her universities gold medal 4x800m relay team at the CIS Track and Field Championships. - Ryan Cassidy of Grande-Digue (racing for University of Victoria) will race the 3000m steeplechase. Ryan comes off of a successful 2012 outdoor season where he qualified for the IAAF World Junior Championships in Barcelona, Spain, and will be hoping to own the podium at this summer's Canada Games in Sherbrooke, Quebec. - Adam Gaudes of Fredericton (running for University of Victoria) will race the 800m with hopes of a personal best as he comes off of a successful indoor season, placing 4th in the 600m and the 4x800m relay, and a 5th place in the 4x400m relay at the CIS championships. He is also one of the favorite for the 800m at the summer’s Canada Games. - Barry Britt of Hampton (running for Idaho University) will race the 5000m with hopes of qualifying for the Jeux de la Francophonie in Nice, France, and possibly breaking Olympian Joel Bourgeois' long standing provincial record of 13:57.65, set in 2001. The standard is 14:00.00 and Barry has a personal best of 14:03.48, set just three weeks ago. "This is truly a great opportunity for our high performance athletes to compete at a world-renowned track competition, featuring the continents fastest athletes", said Gabriel LeBlanc, Technical Director of Athletics New Brunswick. "With such fast competition, our athletes should be able to set personal bests, provincial records, and qualify for their respective teams." Again THANK YOU to all our volunteers for all that you do! You’re incredible passion forour sport is making a real positive difference in our province. National Volunteer Week (NVW) is a time to recognize and celebrate the incredible efforts of our volunteers. It takes place April 21 to 27, 2013. Over the weeks leading up to Canada Games, Athletics New-Brunswick will be publishing a bi-weekly profile of it’s various medal hopefuls. This week, we present Hampton’s 800m and 400m phenom, Grace Annear. Fresh off her multi-medal winning performance at this year’s national university championship with the University of Victoria Vikings, Grace Annear is regarded as one of New-Brunswick’s favorites to get on the podium at this year’s Canada Games. This August, Grace will likely represent New Brunswick and join the best in the nation on the track at the University of Sherbrooke, the same place where she had her first taste of the national scene, in 2008. The then 15 year old athlete competed in the long jump, the 400m, and the 4x400m at the Legion Youth National Championship. As she recalls, her performances weren’t up to par, but the experience would kickstart her very successful track career. Since then, Grace has become familiar with what it takes to be one of Canada’s elite - and to win on the national level. After countless sacrifices, interval workouts, long runs and weight room sessions, the Hampton native earned high rewards at the CIS national championship in Edmonton, at the beginning of march. Not only did she set the provincial record in the women’s 600m (1:31.81) and win bronze in the 4x400m relay (3:48.42), but she also obtained gold medal glory in the 4x800m (8:51.36). Grace is familiar with the Canada Games, having participated in the last ones in Charlottetown, in 2009. After finishing second to last in the B final of the 400m dash, the creative writing student from the University of Victoria was determined to become one of the best. Athletics New Brunswick in conjunction with Easter Seals Saint john is hosting a Introduction to Para Athletics this Saturday (April 27th ) from 2:30pm to 4:30pm at the Canada Games Stadium in Saint John. Athletics New Brunswick welcomes people with all types of physical disabilities such as visual, cerebral palsy, paraplegia, multiple sclerosis, amputation, cystic fibrosis and many others to take part in an introduction to Athletics clinic. This workshop will allow athletes the chance to try many athletics events including racing, throwing and jumping. This event will take place at the Canada Games Stadium in Saint John on Saturday May 20th from 2:30 pm-4:30 pm and is free for all participants. The Canadian Half Marathon Championships will take place in Montreal this Sunday, April 28th, among he favorite to medal are 3 New Brunswick athletes. - Rejean Chiasson of Tilley Road will be looking for a top medal spot in the 21.1km race. With a time of 1:05:03.7, Rejean was the bronze medalist last year, just 16 seconds short of the winner, Olympic marathoner Eric Gillis of Antigonish, Nova Scotia. Lee Roy of Beresford will be looking for a personal best in this tough field of athletes, coming in with a personal best of 1:13:03. While Brandon LeBlanc of Riverview will be looking for a medal spot in the under 20 division, coming in with a personal best of 1:28:16. The course features a unique run around the islands of Saint Helen and Île Notre-Dame where Expo 67 was held. Vancouver- Over 45 000 runners took part in the 2013 Vancouver Sun Run 10km , among the top 25 were 2 New Brunswick athlete . Réjean Chiasson of Tilley Road finished 8th overall ( 3rd among Canadians ) with a time of 30:31 while Joel Bourgeois of Grand Digue was 21st overall in a time of 31:25 (2nd among 40-44 year old) . Other notable finishers include Simon Whitfield the 2000 Olympic Triathlon gold medalist who finished 17th in 31:01.
'' These are very good results for our New Brunswick Athletes to have two runners in the top 25 in such a prestigious event is wonderful.'' said Gabriel LeBlanc technical director of Athletics New Brunswick. Réjean will now travel to Montreal to take part in the Canadian Half Marathon Championship next Sunday. The race was won by Paul Kimugul of Kenya in 29:04 , American Ian Burell was second in 29:17 while Ravinder Sidhu of Surray ,BC was 3rd in 29:31. After two weeks of voting, in which Athletics New Brunswick members were eligible to vote, the new ANB Athlete Representative has been selected! Brandon LeBlanc of Riverview will serve as ANB's athlete representative for a two year term, in which he will represent all New Brunswick athletes and give the athletes a larger voice. "I am very happy to announce Brandon as our new athlete representative", said Gabriel LeBlanc, Technical Director for Athletics New Brunswick. "It has been years since we have had this position and I feel with such a great person filling the position it will help our athletes development over the coming years. Brandon brings lots of ehusiasm to the position and I am looking forward on workign with him." "I am very excited to be elected into the position of ANB Athlete Representative" said Brandon. "I hope I will be able to measure up to the former athlete representatives and help make a difference in the organization." Former ANB Athlete Representatives include ANB President Bill MacMackin, Technical Director Gabriel LeBlanc, and sports agent Kris Mychasiw. Athletics New Brunswick is extremely pleased to announce the members of its’ High Performance Teams from the 2013 Indoor season. The Athletics New Brunswick High Performance Program is an athlete support program targeted at junior and senior athletes who have shown significant potential to perform at the national and international level. The 2014 High Performance team listed below will receive competition and training related opportunities as well as team clothing and financial support based on their team designation. With 24 A team members and 29 B team members this is the biggest ever high performance team for the association. New Brunswick fans will have a chance to see most of these athletes while they compete at the National Senior Championship happening in Moncton June 20-23rd . Wednesday April 17th will be a special day for over 500 children. As Athletic New brunswick is organiazing a school track and field competition featuring five different schools of the Kent County, Marée Montant ( Saint-Louis de Kent), l’école Dr-Marguerite-Michaud (Bouctouche), l’école Régionale de Baie Sainte-Anne, l'école secondaire l’Assomption (Rogersville) et l’école W.-F.-Boisvert (Rogersville) . The meet is an annual competition consisting of athletes in grades 4 - 8 and will take place on the 17th at the indoor stadium in CEPS, on the campus of Universite de Moncton. The annual event will mark the first time it has been held in CEPS, usually held in one of the elementary school gymnasiums. Events will include 50m, 150m, 600m, 1200m, shot put, long jump, and high jump, offering events covering all fields of athletics. "This is truly a great initiative for schools in the province, it shows their willingness to get involved with the world of sport while also fostering the values and beliefs of balancing academics and athletics. ", said Athletics New Brunswick Technical Director Gabriel LeBlanc. "Events like these are where New Brunswick's future Legion medalists start from, and where our future Olympians will one day look back at." In fact M . LeBlanc mentioned that Pierre Landry of Saint Louis de Kent , who is the only man to jump over 7 meters indoor in New Brunsiwck history started is career at this very cmpetition over 10 years a go . Alexa-Maude and Jason were also named MVP for Track and field while Jérémie Pellerin and Genevièeve Dostaler MVP for Cross Country. -Sara Taplin of Moncton was named Dalhousie University's female rookie of the year. - Matt McNeil of Saint John also from Dalhousie Univeristy was named the most valuable player for their men’s Cross Country Team. -Nadine Frost of Bocabec was named the 2013 W.F. Mitchell Sportswoman of the year at the Guelph University Sports Banquet. Nadine will graduate as a six-time All-Canadian during her career with the Gryphons. She won the OUA community service award for Cross Country this fall and last year for Track and Field. This past year as a team captain, she led the Gryphons to one of the most dominant performances in CIS Cross Country history as the Gryphons placed six athletes among the top nine finishers. Off the track, she is incredibly involved with the community as an ambassador for the run and read program, believe to achieve program, speed river xtreme team and is a member of the SAM program as a student-athlete mentor. In addition to these involvements, she also received the Canadian Cystic Fibrosis Foundation summer internship in both 2010 and 2011 and has a cumulative GPA of 86.9%. -Kyla Tanner was given the Cathy Wadden Commitment Award for her dedication to athletics, academics, and campus and community involvement.The fourth-year Cross Country and Track and Field athlete is a CIS Academic All-Canadian, is involved with the Conservation Council of NB, is the President of STU Students for Sustainability, has participated in various fundraisers throughout her time at STU such as the Movember Campaign and Trick or Eat, and is the captain and MVP of the Cross Country squad. Her teammate on the men’s side, Nathan Paton, was awarded the John Frederick Walls Memorial Award for the second consecutive year. The Souris, PEI native and captain of the cross country team is heavily involved on campus. He’s the chair of the STU Relay for Life, Vice-President of the STU Athletic Council, taken part in Trick or Eat, is the creator and coordinator of the Run, Jump, Throw program, among many other endeavours. Paul Nozicka was named MVP of the men’s team while Kyla Tanner won the award for the women’s team. Jonathan Szo and Katie Cameron were named most improved while Paul Nozicka & Loveica MacKenzie were named rookie of the year . Cody McKay was named MVP on the men’s team while Sarah Peel the female MVP . Jonathan Gionet and Julia Ramsay were named rookie of the year while Scott Hems and Katie Cameron were named Unsung Heroes of the team. We have received 3 GREAT applications for Athletics New Brunswick Athlete Representative. Since the chosen candidates will represent YOU, we ask that current ANB members vote for their preferred candidate before April 15th by going to http://www.surveymonkey.com/s/TCCVJDW . Only one vote by member will be permitted. Please note that all voting is confidential we do however ask for your ANB membership number to ensure each voter’s eligibility. The elected member will sit on the board of directors for a period of 2 years providing an athlete’s perspectives on issues. We thank you for taking the time to vote .